Two output "AA" Quikliter electronic ignition module, by Channel Products, Inc. Fits a variety of Viking and Alfresco BBQ grill models. The module comes pre-attached to a mounting plate with 4 screw holes. 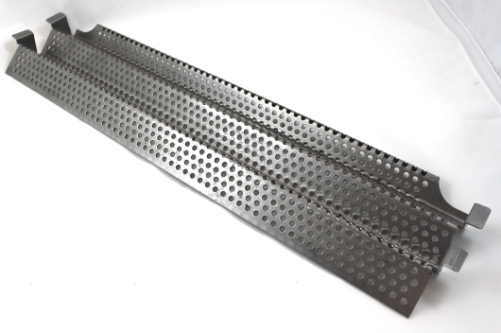 The mounting plate measures 3-7/8" long X 1-7/8" wide. The module features a battery chamber cap, two output color coded male flat spade terminals (for the electrodes) and two input male flat spade terminals (for the ignition switch). Replaces Alfresco OEM Part 2011-23.